José Raúl Capablanca. In C.N. 3447 Brad Dassat (Oldham, England) suggested that the board position was from Hromádka v Spielmann, Pistyan, 1912, at White’s 18th move. The text by J.M. (Jacques Mieses) states that the game-score was mislaid. Even so, it is surprising that no complete record of the game from this major tournament has ever come to light. C.N. 4919 presented the above photograph. 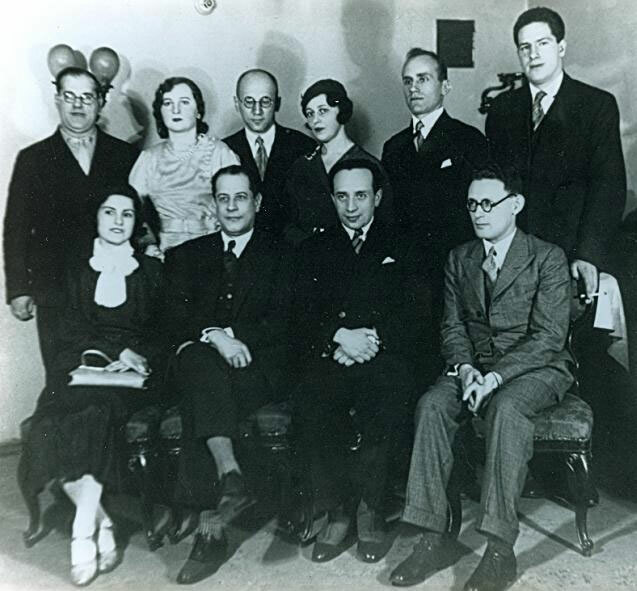 Capablanca and Botvinnik are immediately recognizable, but is it possible to identify all the other persons? José Raúl Capablanca – N.N. 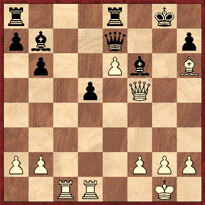 22 Rc7 Qxc7 23 Qxf6 Qe7 24 Qe5 Rf8 25 Rd3 Qf6 26 Rg3+ Kh8 27 Bg7+ Resigns. C.N. 3488 asked whether scrutiny of the New York press of the time would allow Black to be identified. 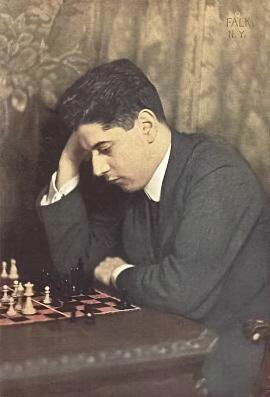 Many books state that Capablanca studied a thousand rook and pawn endings. C.N. 4068 commented that the meaning of this in concrete terms is unclear, and asked about the source of the story. 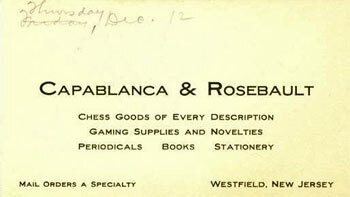 As mentioned in C.N.s 2849 and 3560, our collection contains two sheets of stationery with Capablanca indicated as the editor of Chess Features, but we lack information about the context (including, even, the exact period). 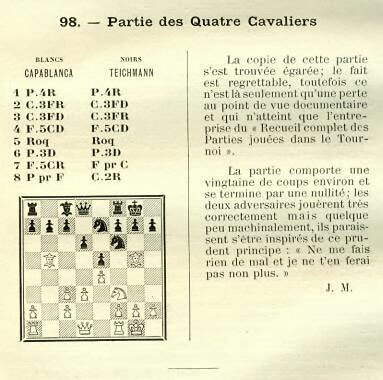 ‘To the historic roster of eminent Masters taking up residence in good old USA must now be added the name of Capablanca. C.N. 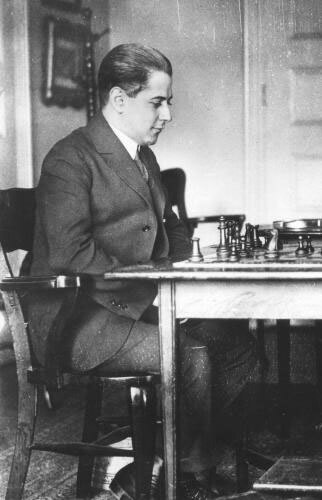 1211 recalled a report on pages 175-176 of the Wiener Schachzeitung, May-June 1912 about a simultaneous exhibition by Capablanca in Vienna on 21 October 1911, his score being +22 –5 =8. One of the draws was secured by Richard Réti, but the game-score has not been traced. Referring to this in C.N. 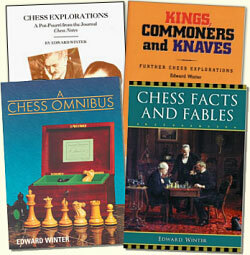 3083, we added that in the first edition of The Oxford Companion to Chess (the Alekhine entry) the patron was named in full as Christopher Ogle, and that in at least one other modern outlet he has been described as a ‘chess patron’. That remains to be demonstrated, but our particular interest is in knowing the source of the Ogle/ogling recollection and whether there are further reminiscences from London, 1922. The items have been brought together as a feature article, The Mysterious Frederick D. Rosebault. R.N. Coles wrote on page 137 of Dynamic Chess (London, 1956) that Capablanca gave as his reason for practically never playing the Sicilian Defence, ‘Black’s game is full of holes’. The passage is on page 135 of the Dover edition (New York, 1966). As mentioned in C.N.s 2105 and 3961, we have been unable to locate a primary source for this quote. 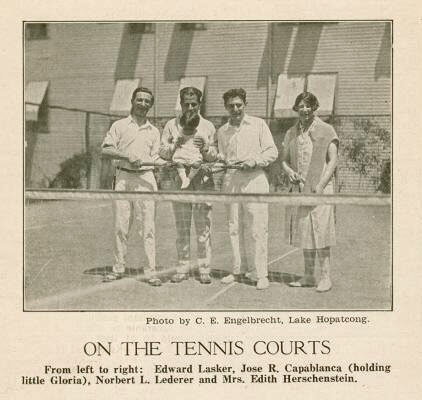 What is the earliest known sighting of the well-known story about Capablanca turning up in his tennis gear to resume a game of chess against Yates at Hastings? See, for instance, pages 16-17 of The Bright Side of Chess by I. Chernev (Philadelphia, 1948). Koltanowski wrote similarly on page 80 of With the Chess Masters (San Francisco, 1972), but on page 24 of Chessnicdotes II (Coraopolis, 1981) he underscored once again his worthlessness as a chronicler by stating that the episode had occurred ‘in the 1929 tournament at Hastings’ in a game between Capablanca and Vera Menchik. Can the moves of the Marshall v Capablanca game be found in the local press?